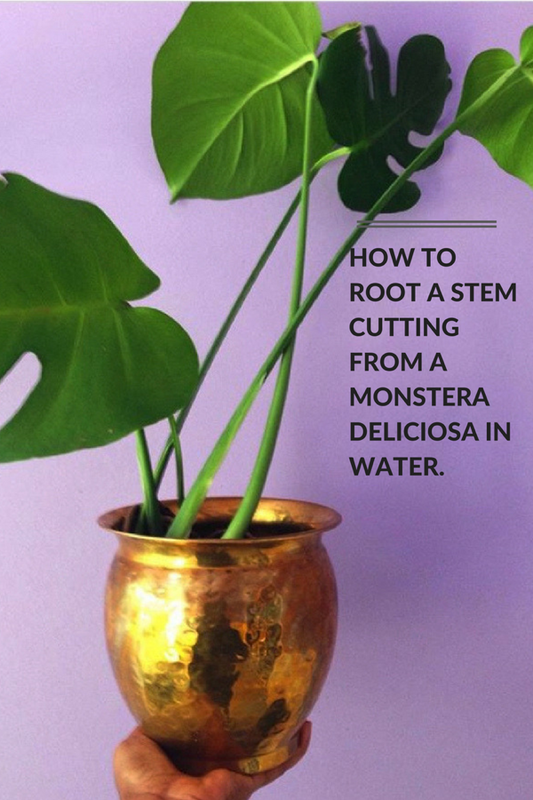 Design Addict Mom: How to Root a Stem Cutting from a Monstera Deliciosa in Water. 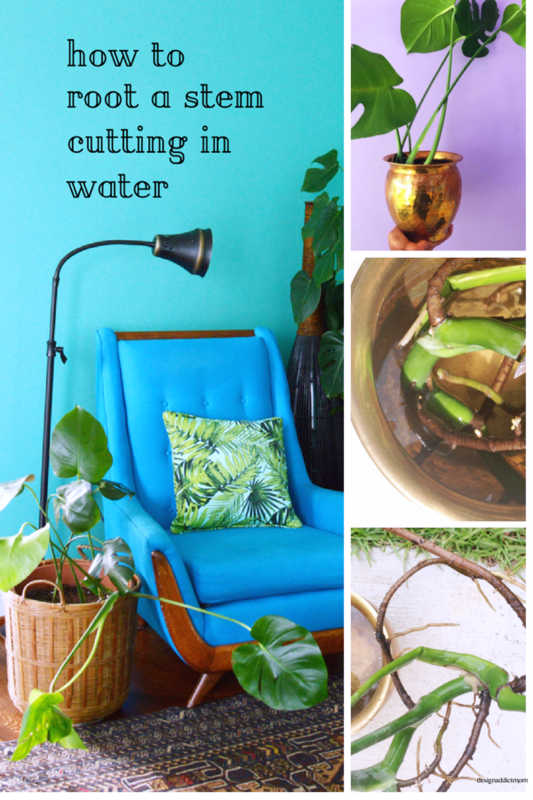 How to Root a Stem Cutting from a Monstera Deliciosa in Water. 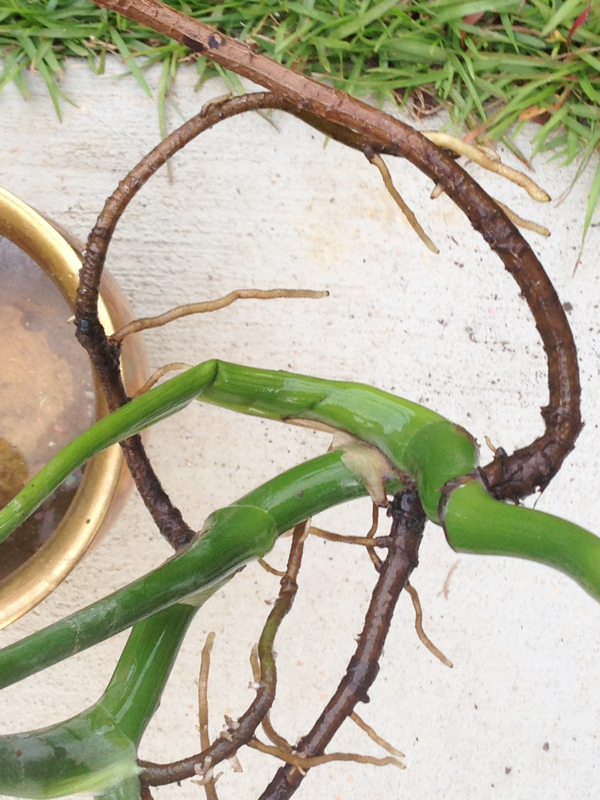 I completed this propagation process last year, but I am just now getting a chance to share it with you. 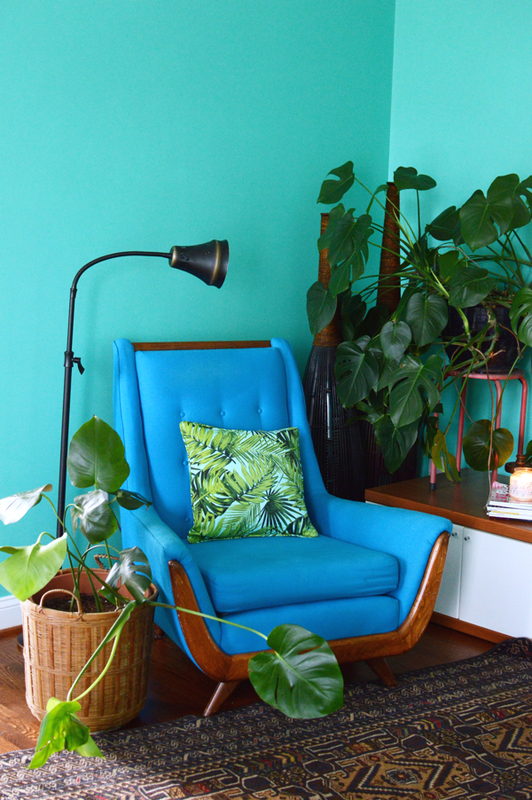 The monstera deliciosa, also known as the swiss cheese plant/splitleaf philodendron is a tropical plant that has become a popular house plant. 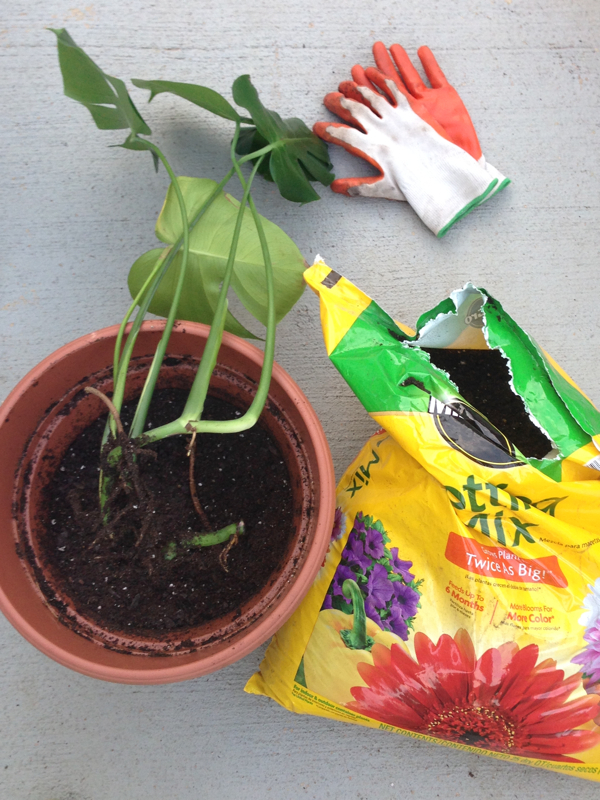 Pictured on the right is the "mother monstera" and on the left is the baby from the stem cutting- well, now it's a toddler since it has grown a bit. 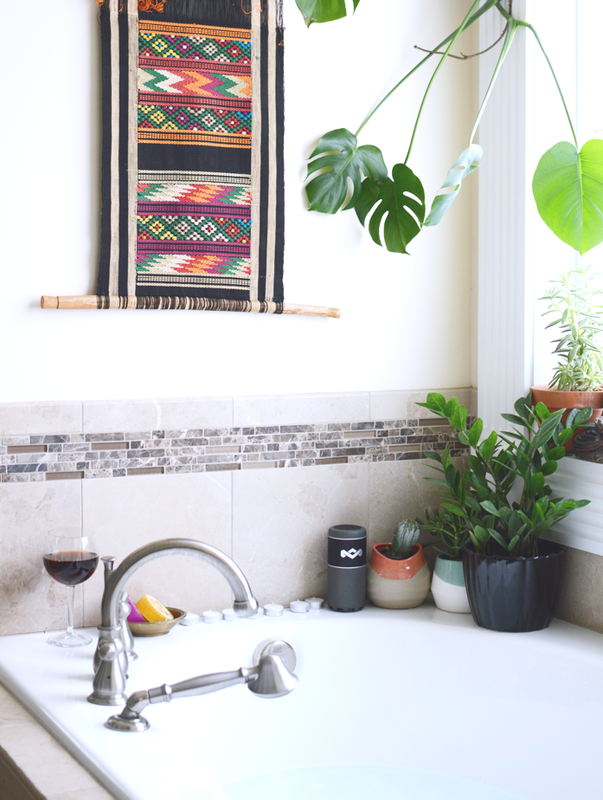 I was styling a shoot last year and needed to add some greenery in the vertical space, so i cut a stem of my monstera plant and actually taped it in place (pictured but you can't see the tape) to get "the shot." Stylists will do just about anything for 'the shot." 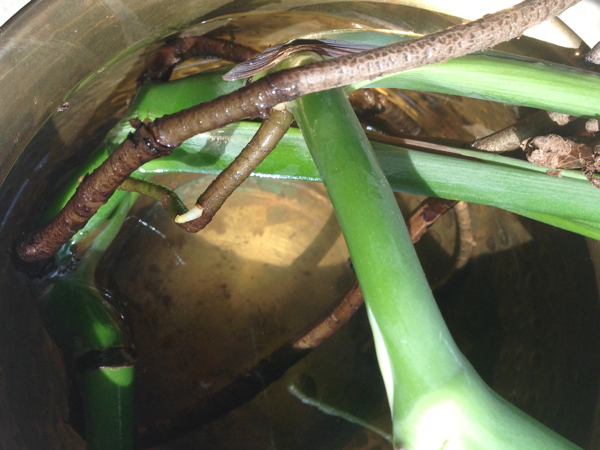 You want to be careful when cutting your stem, it is recommended that cuttings should be taken just after a leaf node, removing the bottom-most leaves. 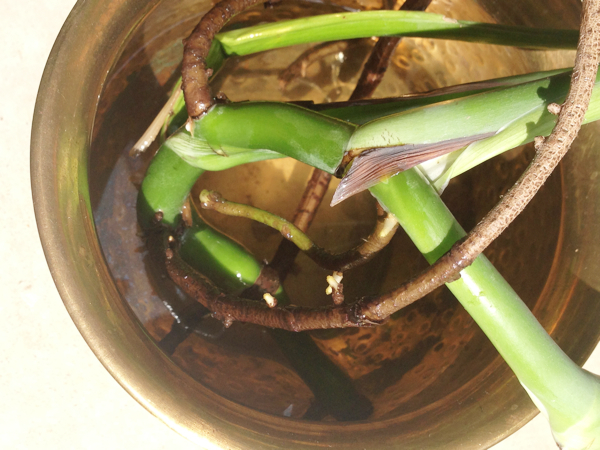 Well, after I no longer needed the stem cutting for the photo shoot, i decided to root it in water for planting, so i placed it in this vase with some clean water at room temperature. I made sure to change the water often-every 3 days or so. After a week, little root buds started to form. About a month later, the roots looked like this so it was time for planting. Thank you for this.. I have a Monstera that has become a Monster. 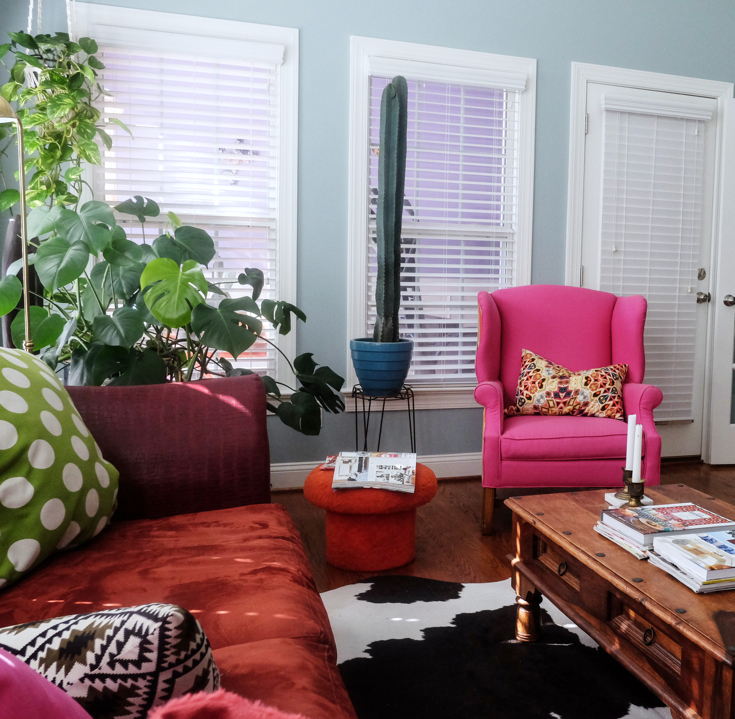 Do you think it is better to cut from an inner leaf or outer?